Covington Courthouse - Setting for Mystic Falls Police Department from Vampire Diaries TV show. 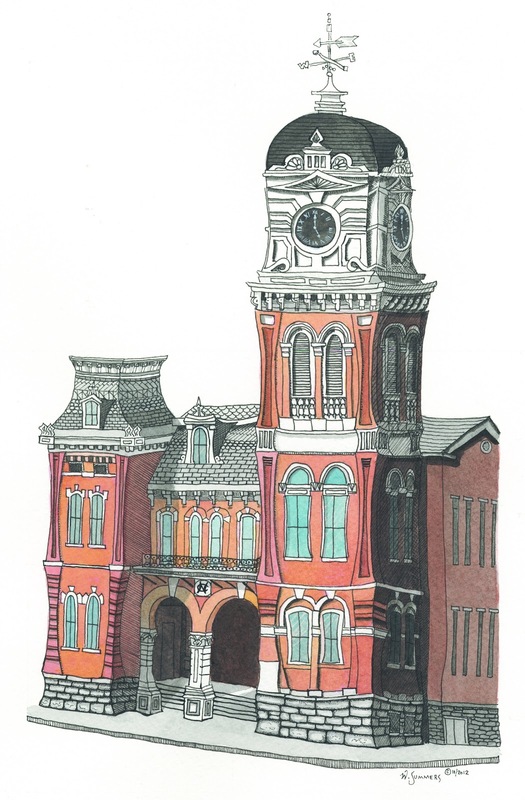 Pen & ink/watercolor painting/illustration of the Historic Covington Georgia Courthouse. The courthouse is situated on the square in Covington next door to the Mystic Grille from the TV show Vampire Diaries. The courthouse was built in the 1880's and the TV shows Heat of the Night and Dukes of Hazzard were also filmed here. Covington has also been the location for several movies.